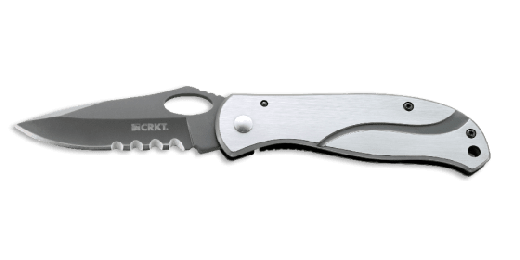 What makes a good logo knife? It should be affordable, and it should have some large flat areas on the blade or frame suitable for logo imprinting. So we are very happy to present the Pazoda™ series. 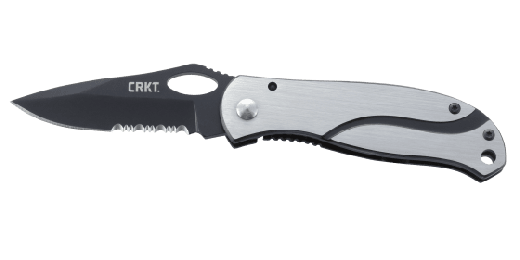 They're high-quality knives that are priced low enough to purchase in quantity, and all have flat areas that are perfect for our "Company Billboard" imprinting by laser or silk screen. Or you can take any one to your local trophy house for personalized engraving. 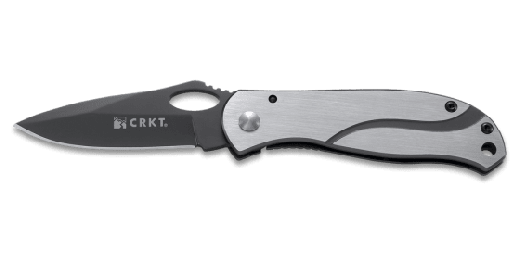 Our smaller size Pazoda™ 2 is a stylish frame-lock folder with a 2.125" premium 8Cr14MoV blade, gray titanium nitride coated with a Razor-Sharp edge. The stainless steel frames are also given a gray titanium nitride coating, and then a brushed finish on the outer surface only, leaving an ample bright area for imprinting. The oval blade hole allows fast either-hand opening. A stainless steel clip is included. 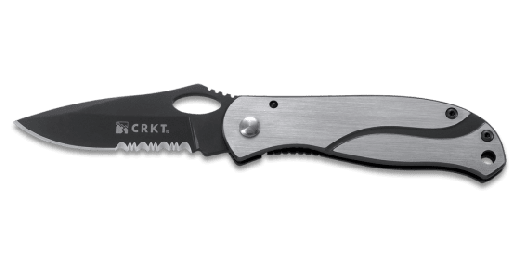 It is simply an incredible value in an all-stainless steel folder.